Covington’s location near the city of Cincinnati allows its residents access to numerous choices when it comes to who to trust with their loved ones’ care. Unfortunately, they are just as likely to choose a facility with a long history of neglecting their patients as they are to find one that will take all of the measures needed to prevent concerns such as pressure ulcers. The Covington bedsore injury attorneys of Nursing Home Law Center LLC prosecute cases on behalf of the many victims of nursing home neglect so that they may recover the compensation they need and deserve. Covington is the fifth largest city in Kentucky, with a population of just under 41,000 people. Senior citizens represent about 10.4% of its populace and there are thousands more who are on the cusp of entering their golden years. The need for quality senior services will rise in the near future as these people begin to retire and continue to age. While there are plenty of nursing facilities in the area to meet the needs of the infirm, the aging community must look outside of Covington for access to recreational programs and support. The Northern Kentucky Community Action Commission operates three senior centers to serve the needs of area residents and you can learn more about the commission and its programs by visiting http://www.nkcac.org/senior-centers/. There are 105 nursing homes within 25 miles of Covington. It may be difficult to sift through the many options that are available if your loved one is in need of ongoing care, but Medicare has created a comprehensive tool to aid in your search. Our Covington pressure sore lawyers often use the nursing home compare tool in our own searches whenever a client needs to relocate a loved one for his or her protection. The nursing home compare tool shows each nursing facility’s ratings in important areas such as health inspection history, staff quality and the quality measures used to ensure patients are comfortable and healthy. It will also provide detailed information about past fines and penalties so that you can cross nursing centers with poor histories off of your list for consideration. Accessing and using the tool is easy and can be done by visiting https://www.medicare.gov/nursinghomecompare. 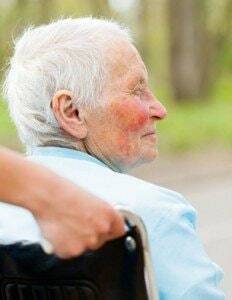 What can be Done to Prevent Pressure Sores at Covington Area Nursing Centers? There is actually plenty that can be done to prevent a bedsore and all of it is simple. Infirm patients that are not able to move of their own accord or who require assistance are considered to be high risk for developing pressure ulcers. From admission into the nursing home, there should be a treatment plan in effect that will address this risk by making sure caregivers check on the patient every several hours, move the patient so that the circulation can be restored to areas impacted by pressure on the joints and check to make sure no sores are developing. Treating minor bedsores is equally simple, as it requires the same preventative measures with the addition of topical medications. In some cases, oral medications may be provided to help prevent an infection. Considering how little it takes to prevent a pressure ulcer, the fact that so many patients develop them is an indication of the disregard administrators have toward their residents when making policy and hiring decisions. Nursing Home Law Center LLC is committed to the needs of seniors whose injuries were unwarranted and due to negligent care. We have helped thousands of abuse and neglect victims and are confident that we can help you with your case as well. We invite you to contact us to arrange a free case review with one of our award winning Covington bedsore injury attorneys so that you can learn more about the laws that protect your loved one and what options you have for how to proceed with your claim.